Ever downloaded a nice movie from the internet (Bad you), or didn't correctly synchronize your audio and video when creating your own family video's? Personally, I think there is nothing more annoying than a video where the audio is behind, even if it is for one second. So here's a small how to, to get your sync back so that you'll fully enjoy the movie. Get your bag of popcorn ready! First, check if your file is already AVI. If it isn't, convert it to an AVI file. I would recommand WinAVI, but there are many similar programs on the net that can do the same trick. If you have the AVI file, go to the next step. Download VirtualDub. VirtualDub is a video capture/processing utility for 32-bit Windows platforms. Install the program on your computer. Next, start up VirtualDub. Open your AVI file in the program by going to "File", then "Open Video File" (Ctrl+O). Now go to "Video" and select "Direct Stream Copy". Again, go to "Video" and now select "Frame Rate" (Ctrl+R). Select the radio button which has the following text: "Change so video and audio durations match". You should end up with a non-standard frame rate. Go to "File", "Save as AVI" (F7). 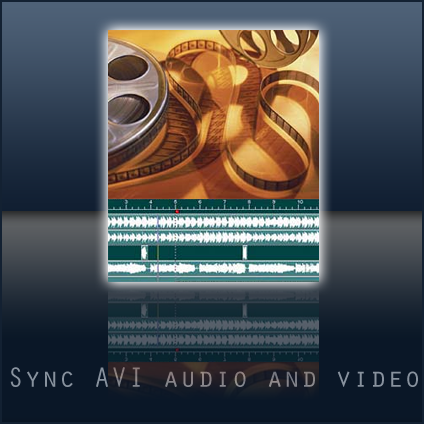 After saving the video, try to play it in your media player if it is in sync now. There you have it, a fully synchonized movie. The only time this trick doesn't work, is when the audio and/or video rate changes during play. It's almost impossible to fix this. Now, lean back and enjoy the movie.